Mr. Pien has worked in the pharmaceutical and biotechnology industries for more than three decades. In addition to Idera, Mr. Pien serves as the Non-executive Chairman of Indivior PLC. Previously Mr. Pien was the Lead Independent Director of ViroPharma Incorporated, Chairman of the Board of Vanda Pharmaceuticals and Chairman of the Board of Directors of Juno Therapeutics. Mr. Pien’s additional prior Board service includes Ikaria Inc., Immunogen, Inc. and Sage Therapeutics.Mr. Pien was the Chairman of the Board and Chief Executive Officer of Medarex, Inc, until it was acquired by Bristol-Myers Squibb and Chairman of the Board and Chief Executive Officer of Chiron Corporation, until it was acquired by Novartis. Mr. Pien was the President of Pharmaceuticals at SmithKline Beecham and the President of International of GlaxoSmithKline. 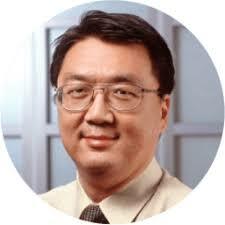 Early in his career, Mr. Pien served in roles at Abbott Laboratories and Merck & Co. Mr. Pien received a B.S. from MIT and an M.B.A. from Carnegie Mellon University.